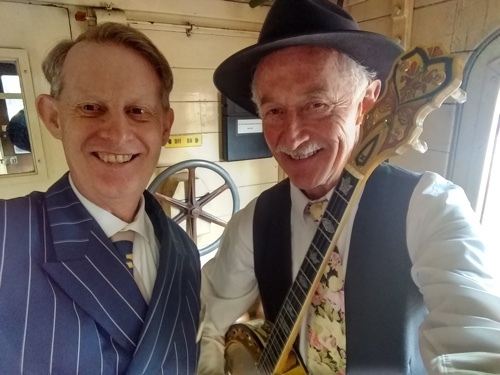 After entertaining passengers on vintage train trips in February, Greg Poppleton was invited back to entertain on the 'The Hydro Express' and 'The Highlander'. 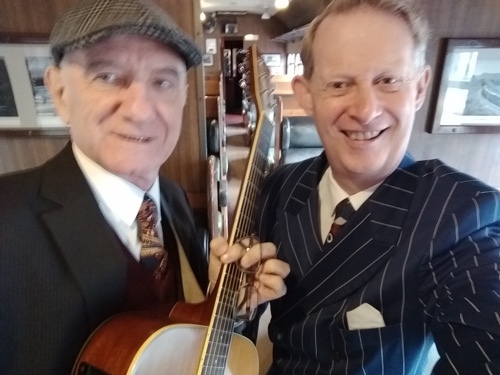 Greg sang the songs of the 1920s and joked with passengers on the vintage trains with Paul Baker, banjo, on the Hydro Express, and then the next day with Grahame Conlon, guitar, on The Highlander. 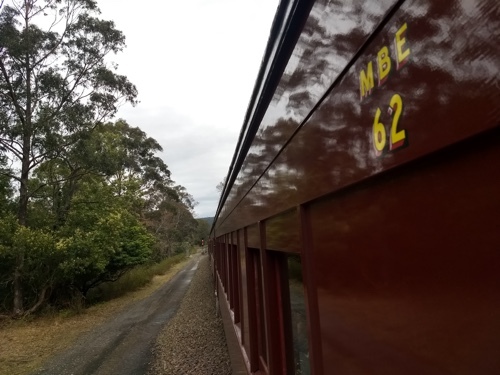 The Hydro Express heritage train ran from Sydney to Medlow Bath for High Tea at the historic Hydro Majestic Hotel. 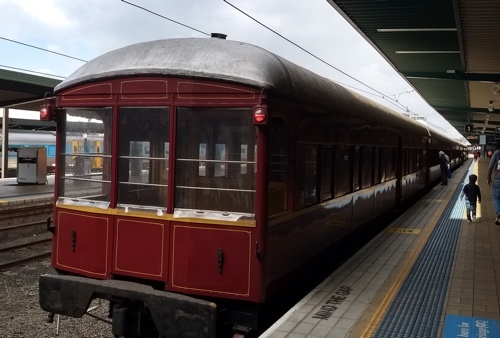 Guests traveled in their choice of three classes - Standard, Premier or Lounge. The Highlander ran from Sydney via Unanderra (where Greg will be singing, 12 January) to Robertson and then Moss Vale. 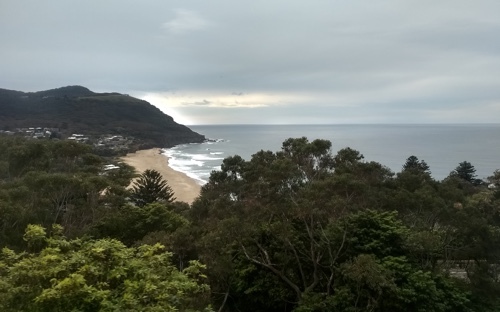 It traveled up the Illawarra Escarpment through temperate rainforest and with views over lake Illawarra and the Tasman Sea. Many guests alighted at Robertson for High Tea at Ranelagh House.